Do You Believe In Miracles?. I do. Always have. I didn’t think they could happen for me, but I did always believe they could happen for others. It’s taken me a long time and a lot of reflection to understand that anything is possible for anyone who believes. That’s what faith is all about. Understanding that we all are worthy of happiness and goodness and love as long as those are the things we reflect in our own lives. There are those times when it’s impossible to understand why things go wrong. To see the good in anything. It’s not always an easy search, and I have often failed in the past to understand why something bad has happened to me or to someone I love. My daughter and I talked about this one night when she was afraid to take a chance – when she felt she would fail. When I told her I had done this before- passed up opportunities that would have put me in a better place career and finance-wise, she replied, “But then you wouldn’t have met Daddy and you wouldn’t have had me.” She was right- for she is truly my very own miracle. I didn’t know how to answer that at first. She was right, I was afraid to take a chance and be successful back then. But having her and my husband in my life has made all the difference. My ability to love them unselfishly and find myself worthy allows me to write this post, and a lot of others. So even thought I felt it was the wrong choice way back then, and felt like a failure for years, I am successful and happy today because of that choice. But what about her? Should she give up when she’s afraid of success? My answer was simple- ish. Even if you pass up this opportunity things will be okay. You will be a success because you are a success now. You believe it about other aspects of your life – your school work, your basketball. Actually if you think about it, everything you have set your mind to these past eleven years has been a success. Why would this be any different? The answer lies within you because you have knowledge and confidence and faith in yourself that I never had until after you were born. So look inside yourself and think about what will make you happy and remember that there have been lots of times where you were unsure but moved forward anyway. My little miracle found out that she could act that night. She put her heart and soul into it and learned about yet one more talent, one more gift she possesses and can use to make herself and others happy. She is athletic, smart, beautiful, kind, caring, loving, funny and yes now she knows she can act. 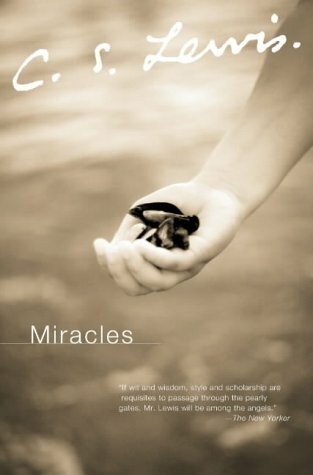 I do believe in miracles, in being at the right place at the right time, even when it hurts or makes your stomach hurt. There are no wrong choices. It will work out eventually when you’re ready. This entry was posted in Encouragement, Self esteem and tagged confidence, daughter, faith, Family, love, miracle, synchronicity by pattytmitchell. Bookmark the permalink. “I do believe. I do believe. I do….” Thanks to Patty Mitchelle for this beautiful post. Thank you Jan- you are always so positive and insightful! A beautiful post and so true! We all possess characteristics that can allow us to open to miracles if we believe in the inherent abilities within ourselves. Even failure turns into miracles when we take the lessons learned and move forward. Thanks for sharing such a personal post! Thank you Tina. I always look forward to your feedback and love your posts on fb. I never felt confident enough to go for what I believed in as a girl so I feel I owe it to my daughter to tell her to make her own opportunities in life. It’s taken me almost half a century and it still feels indulgent! Our kids get the benefit of our mistakes sometimes. Let’s hope so!